Apple Music subscribers will be able to enjoy Apple Music’s 50 million songs on Echo devices. Customers will be able to ask Alexa to play their favorite songs, artists, and albums—or any of the playlists made by Apple Music’s editors from around the world, covering many activities and moods. Customers will also be able to ask Alexa to stream expert-made radio stations centered on popular genres like Hip-Hop, decades like the 80s, and even music from around the world, like K-Pop. Just ask Alexa to play Beats 1 to hear Apple Music’s global livestream including in-depth artist interviews— all completely ad-free. Simply enable the Apple Music skill in the Alexa app and link your account to start listening. Apple Music will be available to Alexa customers beginning the week of December 17. Apple today unveiled Apple Music, a single, intuitive app that combines the best ways to enjoy music — all in one place. Apple Music is a revolutionary streaming music service, a pioneering worldwide live radio station from Apple broadcasting 24 hours a day and a great new way for music fans to connect with their favorite artists. Apple Music combines the largest and most diverse collection of music on the planet with the expertise of world-class music experts who have programmed playlists for your iPhone, iPad, iPod touch, Mac, PC, Apple TV and Android phones. 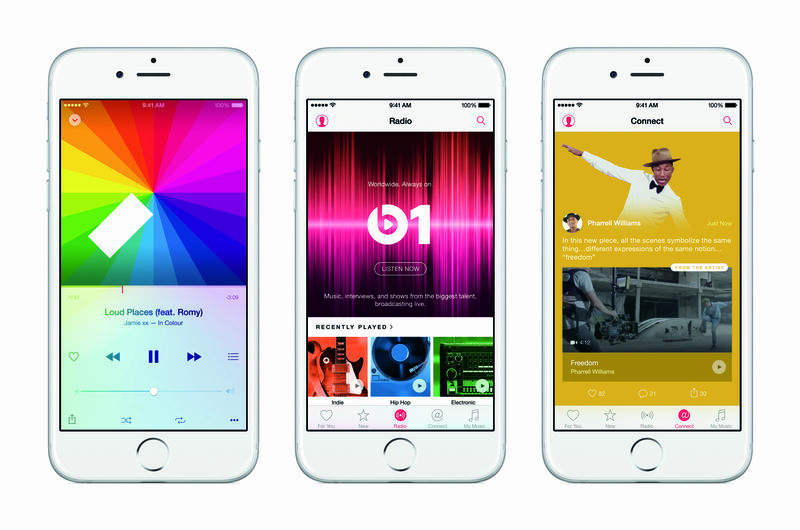 Apple Music will be available starting on June 30 in over 100 countries. Requires initial sign up. At the end of the trial period, the membership will automatically renew and payment method will be charged on a monthly basis until auto-renewal is turned off in account settings. Family plan requires iCloud Family Sharing. See www.apple.com/icloud/family-sharing for more information.